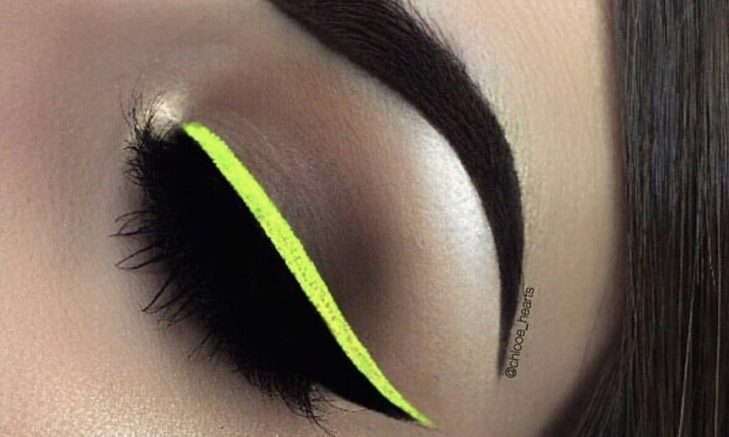 Neon Yellow Eyeliner: This look may seem like it’s very difficult to achieve, but if you have the right products, you’ll nail it. Start off with a light smoky eye, trace on some white eyeliner, then top it off with neon yellow eyeliner to make it pop. Galaxy Makeup: Electric Neon Eyeliner: Want to make your neon eyeliner resemble galaxy makeup? Make sure to smooth on your favorite base cream before creating a dark smoky eye — then trace your white-winged eyeliner in the crease. Trace your favorite neon yellow eyeliner on top of the white to make it look electrified. 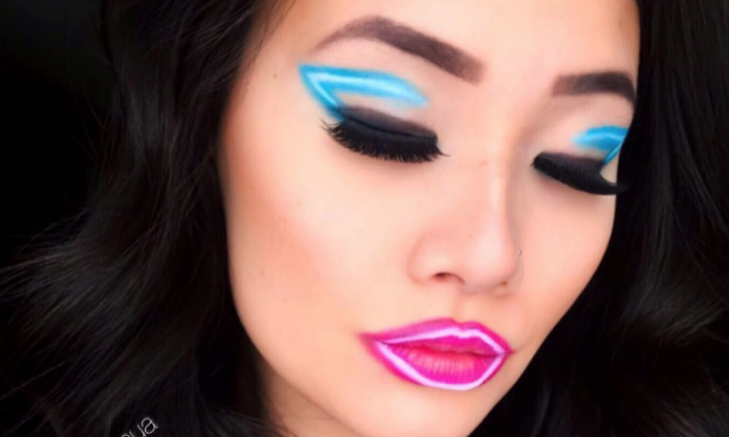 Neon Blue Eyeliner: This look, while seemingly complex, is very simple. Grab yourself a thick, white pencil and draw a wing starting in the outer corner of your eye and trace it into your crease. Then, using a pencil brush, trace the outside edges of the thick line you’ve created with neon blue eyeshadow — make sure to leave the center of the line white, to achieve the electric-effect. 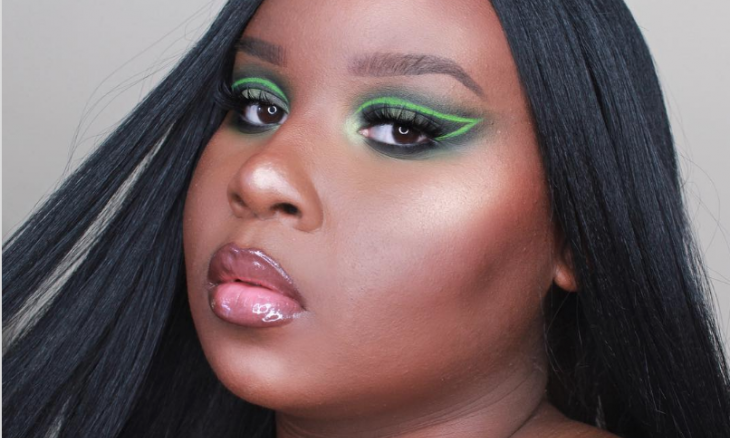 Neon Green Eyeliner: For this look, start off by using green eyeshadow to create a background effect for your neon green eyeliner. Then, trace over the shadow with a white eyeliner pencil, creating a wing shape from the inner corner of your eye to the outer corner. 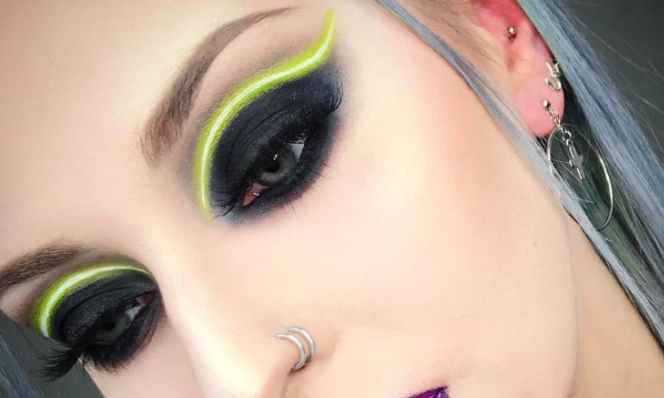 Finally, using your neon green eyeliner, trace over that line. 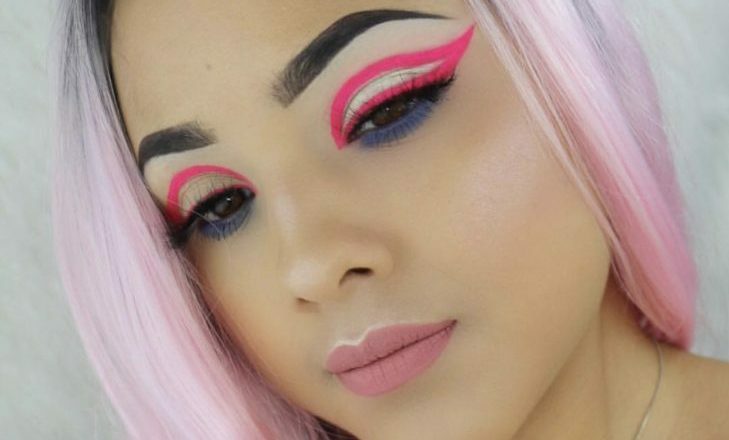 Pink Neon Eyeliner: This candy pink eyeliner look is one of our all time favorites. Be sure to start off with a light base then draw your neon pink eyeliner above your lash line and continue your wing up into the crease. To really help it stand out, smoke out lower lash line by applying a darker shadow using a pencil brush. 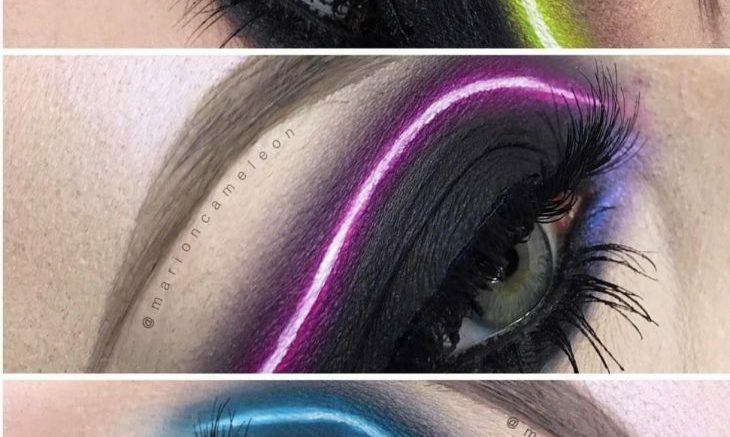 Have any more neon eyeliner inspirations that you’d like to share? Comment below.